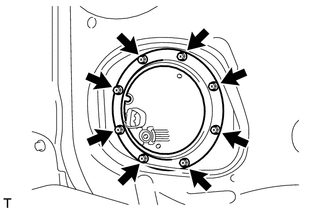 (a) Install a new fuel suction tube set gasket onto the fuel tank. 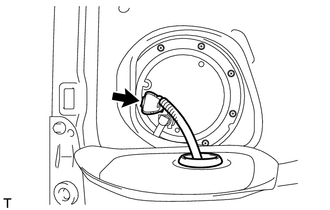 (b) Connect the fuel tube with the clip. (c) Set the fuel suction tube assembly to the fuel tank. Do not damage the fuel tube. (d) Align the protrusion of the fuel suction tube assembly with pump and gauge and the cutout of the fuel tank vent tube set plate. 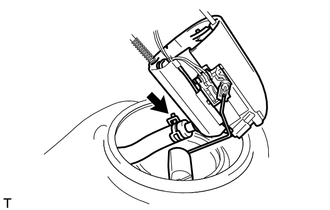 (e) While holding the fuel suction with pump and gauge tube assembly by hand, install the fuel tank vent tube to the fuel tank with the 8 bolts. (f) Install the fuel tank main tube sub-assembly and the tube joint clip. 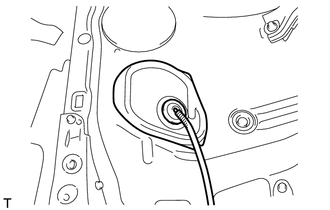 Check that there are no scratches or foreign matter around the connected part of the fuel tube joint and plug before performing this work. Check that the fuel tube joint is securely inserted. 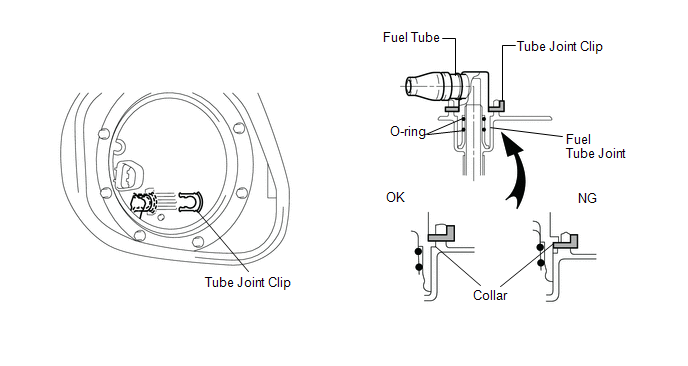 After installing the tube joint clip, check that the fuel tube cannot be pulled out. (g) Connect the fuel pump connector. (a) Install the rear floor service hole cover with new butyl tape. (b) Install the rear floor carpet and the rear floor silencer. (a) Install the rear seat assembly LH (See page ). (a) Install the rear seat assembly RH (See page ).